This post was originally published on Common Formative Assessments by Larry Ainsworth. How can teachers really know what their impact is on student learning? As educators, we want to make learning visible to our students. We constantly look for new ways to maximize our impact. We have so little time with our students that we need to make sure they are getting from us the feedback they need in order to move forward in their learning. Common formative assessments (CFAs) are a great way for educators and students to receive that feedback. CFAs afford grade-level and course-level teacher teams a clear lens through which to see their instructional impact on student learning. Designed by educators for use with their own students, these unit-specific pre- and post-assessments are directly aligned to the targeted learning intentions of the unit. Accompanying success criteria describe explicitly what students are to demonstrate in their assessment responses to show they have achieved the learning intentions. Knowing what they are to learn and how their understanding will be evaluated, students are empowered to take an active role in their own learning. Learning progressions are the smaller, sequenced “building blocks” of instruction necessary for students to understand the larger unit learning intentions. Shorter formative assessments—“quick progress checks”—occur throughout the unit after important learning progressions. These quick checks of student understanding provide immediate feedback that educators use to adjust instruction and that students use to self-regulate their learning strategies. (1) Educators receive evidence as to the degree of their instructional effectiveness, and where any adjustments are needed. When educators and students use feedback in these ways, CFAs can achieve their maximum potential of helping educators improve instruction and student learning. After a teacher team collaboratively decides on the particular standards to emphasize within a unit of study, they “unwrap” those standards to determine the teachable concepts, skills, and levels of cognitive rigor within them. Next, they determine the Big Ideas they want students to discover on their own by the end of the unit, and write Essential Questions to frame the learning trajectory. When finalized, these elements become the learning intentions and success criteria for the unit. Then the teacher team designs the end-of-unit post-assessment, followed by the pre-assessment, both of which are directly aligned to the targeted learning intentions and success criteria. 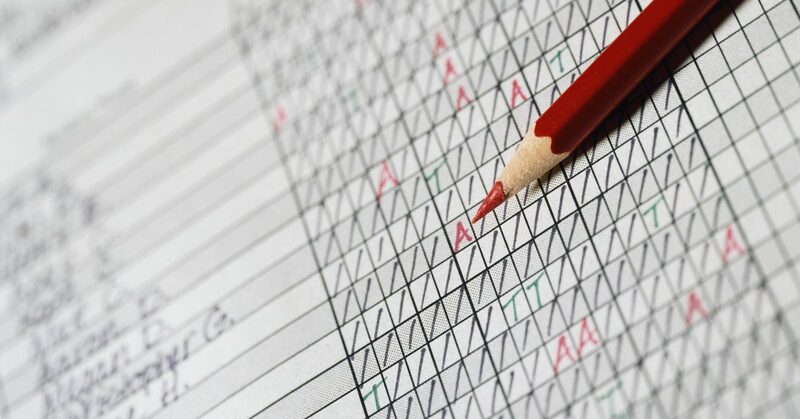 Educators often write their CFA questions to reflect the formats of state, provincial, and national assessments so students have ongoing opportunities to demonstrate what they are learning in the ways they will be expected to respond on standardized achievement tests. Common formative assessment questions must be evaluated for quality and revised as needed so that the inferences educators make from the assessment results are accurate. To this end, there are established criteria regarding the validity, reliability, alignment, format, vocabulary, etc., of assessment questions. These criteria become necessary guidelines that educators refer to and use during the drafting and revision of their assessment questions. I will be discussing these points in more detail during my 90-minute informational breakout session, “Using Feedback from Common Formative Assessments to ‘Know Thy Impact’” on July 17 at the 2nd International Visible Learning Institute in Carlsbad, California. For more information on the International Visible Learning Institute, please click here. Thanks for all you do for your students!